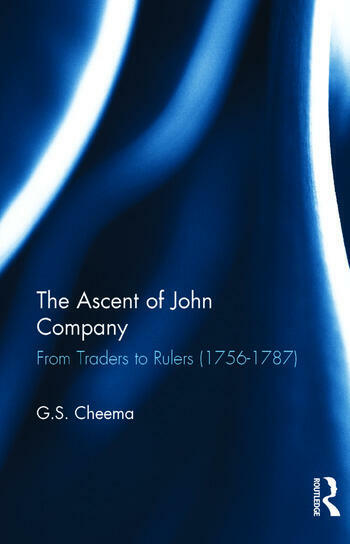 The Ascent of John Company is the story of the founding of the British empire in India. The process of founding empires is rarely, if ever, edifying. It is invariably a sordid story of brutality and violence, tempered to some extent by blatant lies, corruption, skullduggery and intrigue. Robert Clive and Warren Hastings, the two names that come most readily to mind when one thinks of the founders, were no heroes in their times. Still less were Vansittart, Verelst, or Coote ‘Bahadur’. We have a governor who was overthrown and imprisoned by his own Councillors, and a general who had to be bribed to take the field! Many of them were accused of atrocious crimes, of murder and extortion. Bribe taking, peculation and corruption were the least of their ‘high misdemeanours’ and the most egregious were ruined by the judicial processes to which they were subjected on their return. The word nabob, which was applied to them by their own countrymen was anything but complimentary. The romanticization of the empire came much later; it was a phenomenon of the later Victorian period, but in spite of the fact that the empire has long since faded away, nostalgia for the Raj still lingers among some circles. For such people this volume will be a useful corrective; the past always seems better than the contentious present. Even for others, who may not see the past through rose tinted glasses, this book will help to place things in perspective. To paraphrase Dickens, ‘this is the best of times, and the worst of times’ – and it has always been so. G.S. Cheema is a former civil servant and writes mainly on historical subjects. His first book, on the later Mughals, The Forgotten Mughals, came out in 2002. This was followed by Our History, Their History (2012), and A Memoir of the Mughal Empire (2014), the last being a translation of Jean Law de Lauriston's Memoire sur quelques Affaires de l'Empire Mogol. He lives in Chandigarh.